Carroll First United Methodist Church (FUMC) is involved in many outreach projects right here in our neighborhood and throughout the world. Scroll down the page or click each title (to left) to read about a specific mission. Read how we are helping the larger community and our world at Rainbow of Missions (below). GENERAL RELIEF EFFORTS - The city of Marshalltown and its residents have begun moving into the recovery and rebuilding process. Hope UMC is the hub for donations. Check this LINK for items needed in this relief effort. 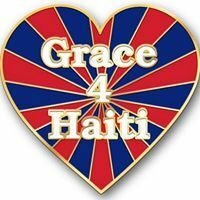 Grace 4 Haiti-The mission of Grace 4 Haiti is to provide doctrinal training and educational materials to 5 Haitian churches and their schools.We as a church family support one of our members, Alison King, in her mission to help children in Haiti. She is part of a medical team that goes to Haiti to supply medical care and immuniztions. 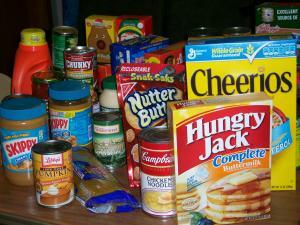 Food Pantry - Carroll Community of Concern (322 West Third Street) is an emergency pantry open to Carroll County residents. When making application you must show proof of residency and a photo I. D. There are no income guidelines. It is based on emergency needs. Stop in or call them at 792-5150, open Monday-Friday 8:00-11:30 a.m.
Habitat for Humanity - a nonprofit ecumenical Christian ministry founded on the conviction that every man, woman and child should have a decent, safe and affordable place to live. Build affordable housing for low-income families regardless of race or religion. Habitat welcomes volunteers and supporters from all backgrounds. The Carroll County Affiliate is (PO Box 843) reachable at (712) 655-2857 or e-mail eastkall@win-4-u.net. Click the logo below to connect to the international site. Every 30 seconds someone dies from Malaria! Imagine No Malaria- Imagine No Malaria is an extraordinary effort of the people of The United Methodist Church, putting our faith into action to end preventable deaths by malaria in Africa, especially the death of a child or a mother. Or link to our Rainbow Missions page to read where our church is helping. More information is always available at [http://www.iaumc.org/pages/detail/1004]. **Note: Did you know that you can earmark a portion of your church offering to Missions? Just note it on your check and know your money is being put to work helping others all over the world and here at home! Thank you for your support! This annual collection is packed for shipping the first Saturday of November. Local kit items need to be collected and packaged by the weekend prior for delivery to our nearest center (Greenfield UMC). Check out the Kit needs or view the Iowa United Methodist Conference website: http://www.iaumc.org/detail for details. Wherever there is a need, UMCOR is there to help provide relief. From Tsunami's to earthquakes to floods to famine, we as a local church take special offerings to aid others in need throughout the world. 100% of the gifts are given to help the people. Find out what UMCOR is doing in the world today by clicking the logo above. 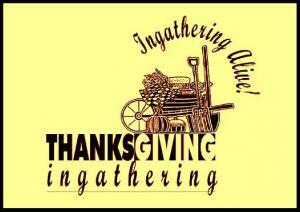 Provide food and fellowship for those in low income housing. To continue this ministry, volunteers and donations are needed. Watch our newsletter and announcements for additional ministries.